1. Burt's is AWESOME. Let me tell you a story. Went to the Perkins Saw and Mower Stihl dealer on Industrial Way in Oak Harbor. Dropped off my riding mower since it wouldn't start. They called me and said it needed this, that and the other for $868 total. Gulp. I only paid $350 for it on CL. I asked can we do something else to just get it running? A lot of BS and a NO, we can't, I went to pick it up figuring I would take it to Burt's instead. When they rolled it out to me it was missing the entire engine cowling. I asked where is my cowling. They acted like well I must not have brought it in. I had. Anyway, about 10 minutes later they tell me that uh, well, oh, um, a "customer" ran it over and smashed it and here are the largest 10 pieces taht we didn't already throw away. Seriously? They had NEVER mentioned that problem on the phone. All they were willing to do was remove the $35 "diagnostic" charge in which tehy tried to hose me for $868!!!!. No, they wouldn't pay for a replacement cowling since it was too expensive. Really? Yes, I am not lying. Anyway, what does this have to do with Burt's? When I picked it up from Perkins I brought it straight over to Burt's. I dropped it off and he took a look at it right away. I didn't even get to finish the outrageous Perkins Saw and Mower story and he had ALREADY gotten it running!!!! Seriously. That made me even more angry that Perkins had so clearly tried to rip me off. So, even though it was running and he was willing to let me NOT pay due to the funny rip off story from Perkins, I left it with him anyway for a full tune up and I told him do whatever you think it needs to make it work well and be safe to operate. A full tuneup etc and the TOTAL charge for EVERYTHING was $150. That was about 3 1/2 years ago and since then I have brought him 4 other things to fix. Excellent and fair. I completely trust Burt's and I am confident that you will be happy too. 2. I walked in right at closing time with my broken edge trimmer, and rather than send me away (which is what I'd expected as other shops have done), they took great care of me. They incidentally had the part I needed, and it was such a quick fix, he only charged me for the part and not labor. These gents are knowledgable, courteous, and their prices are reasonable. Thanks so much for taking the extra time to provide great service! Want expert repair service for your mower or saw? 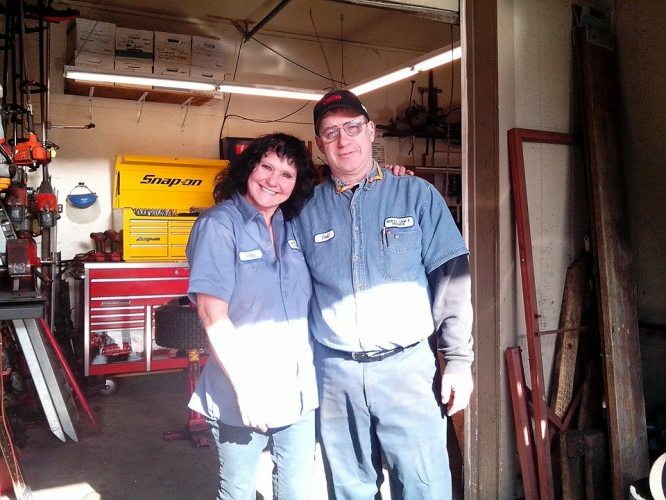 Come to Burt’s Saw and Mower in Oak Harbor, WA. With 30 years of experience and up-to-date technical training, Paul Burt provides honest service at fair prices working with all types of chain saws and mowers. 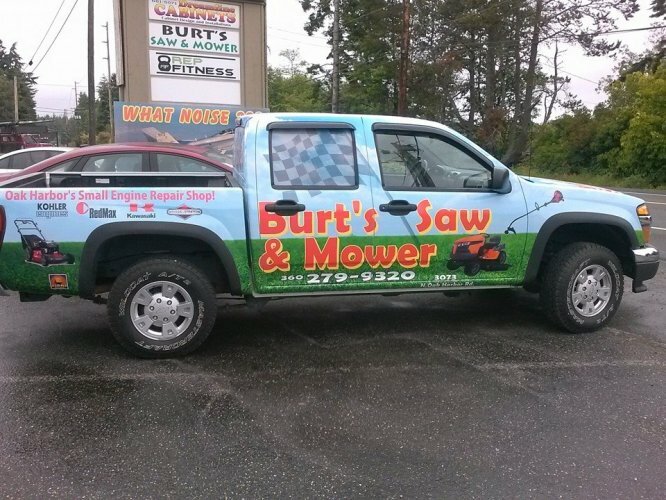 From tune ups to small and major repairs to new and used equipment sales, come to Burt’s Saw and Mower for the best new products, and repairs done right the first time!